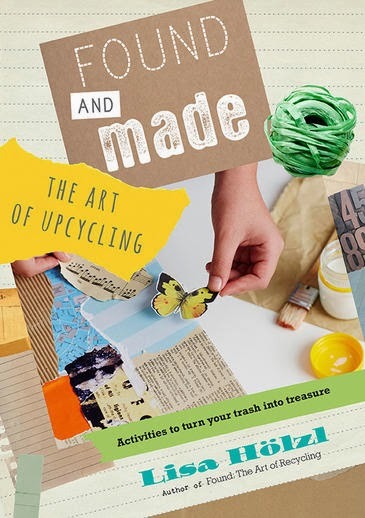 Kids' Book Review is delighted to welcome artist, teacher and author Lisa Hölzl to discuss the inspiration for her latest book, Found and Made: The Art of Upcycling, published by Walker Books. Having kids and making art have at least one very important thing in common: they both make us see the world in new ways. This in turn helps us find meaning and joy in unexpected places. Looking at the world from a child’s perspective often brings into focus the easily overlooked. We’ve all experienced the love children have for finding a small fragment of something discarded on the ground and carefully placing it safely in their pocket. They retrieve it later to play with, perhaps transform into something completely different, or add it to a collection of other small and treasured things. For a few years now, whenever I begin to come up with artmaking projects, I seem to lapse into what seems like the foraging mode of a child. In starting to write and make projects for Found and Made, however, I began to look for and collect, not unusual bits of unique ephemera, but instead the objects that our household threw out most often. 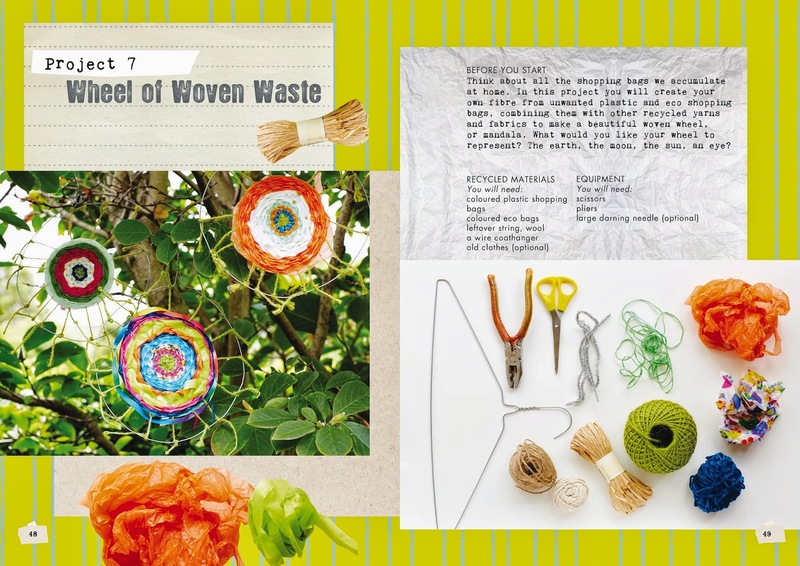 It’s these things, after all, that can provide a sustainable stream of materials for re-use, recycling and upcycling. We shouldn’t have to go out and buy expensive art materials when we can make good use of our own, unwanted household stuff. My house for example seems to go through a plethora of toilet rolls, milk bottles, ice cream sticks, laundry detergent bottles, newspapers and boxes. I love the way children only need a small invitation (if any) to think up creative ways of using any materials they are provided with. So I decided to experiment with half a dozen kids (including my own), and together we came up with many of the projects in this book. Rather than teaching, I simply facilitated the children’s weekly, creative activity by finding appropriate equipment and joining materials such as tape and glue, so they could connect and combine my steady stream of household waste. 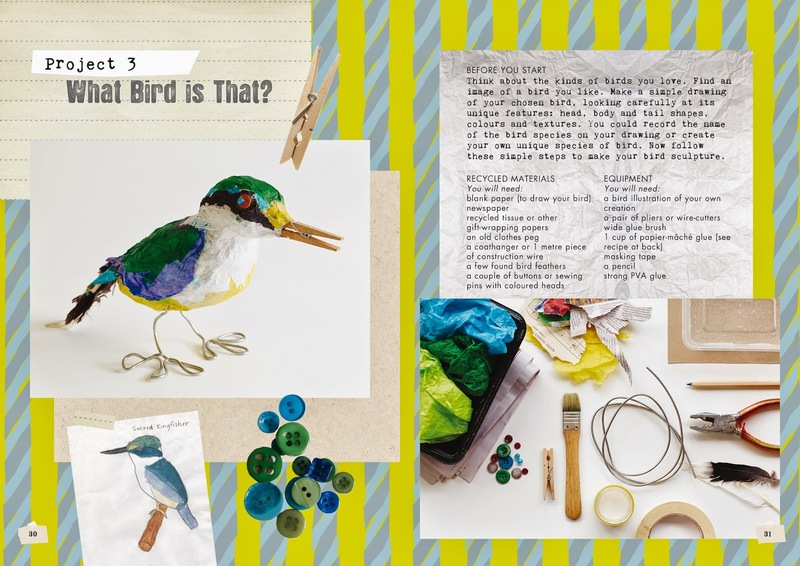 The children finished each project by writing down their step-by-step making process and reflecting on how they might do it differently next time, in order to create a slightly or radically different artwork. This just proved to me that providing children with inviting materials, the license to invent, and the supportive interest of an adult, was a great recipe for nurturing creativity and problem solving. The best part is you never know exactly what you’re going to end up with, because children just love to transform the ordinary into the extraordinary. They see what we often overlook, such as the heart-shaped puddle that Maya and Chloe once photographed and gave me in the form of a thank you card. Being able to imagine the world in new ways is a valuable skill to have not only now, but particularly in the future. Lisa Hölzl is a practicing artist who runs art workshops for adults and children from her studio, The Bakehouse Studio, in Marrickville. 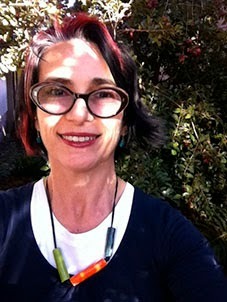 She has a design degree and Masters degrees in both visual arts and teaching. 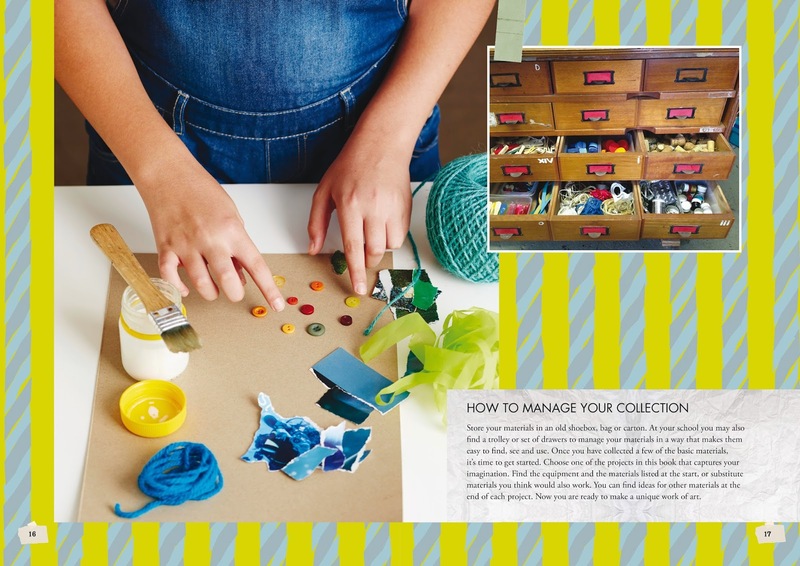 Lisa is also the author of two books for children on creating art from recycled materials, Found: The Art of Recycling (KBR review here) and the newly published Found and Made: The Art of Upcycling. Visit Lisa's website and Facebook page to find out more about her books, workshops and creative projects.